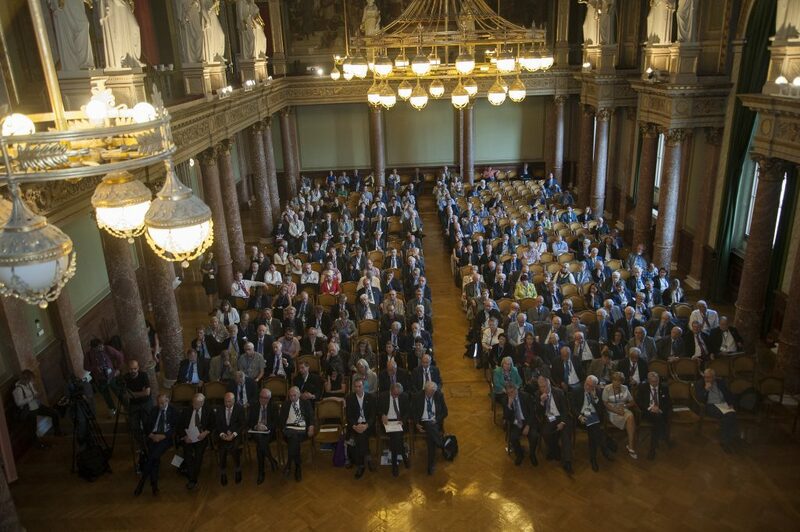 Near to 400 participants attended the conference “Sustainability and Resilience” in the Hungarian Academy of Sciences in Budapest on 4-6 September. 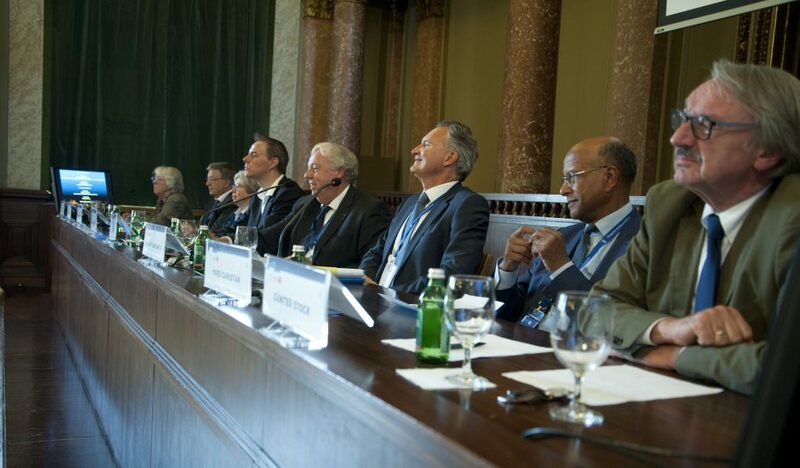 The event brought together renowned scientists and scholars to discuss Europe’s heritage, social systems, health, economy, climate, as well as its science and research landscape. The conference was opened by the President of the Hungarian Academy of Sciences László Lovász, who underlined the relevance of a united voice for European academic organisations. “We have to remember that the great history of European science by itself is not a guarantee for a great future. Only by a continued effort we can build the ‘Resilience and Sustainability’ of our unique scientific culture. A culture that has always been defined by the diversity of talents across Europe and should continue to rely on the potential of science in all member states. This is why I have been so pleased to offer the building of our Academy to host the first joint meeting of three major European science organisations. I see this conference as a major step towards a more united voice of European academic organisations,” Lovász said in a statement. “We have to remember that the great history of European science by itself is not a guarantee for a great future. Only by a continued effort we can build the ‘Resilience and Sustainability’ of our unique scientific culture”, said President of the Hungarian Academy of Sciences László Lovász. The panels provided an interdisciplinary roadmap on European science today: from the latest advances of neuroscience to the impacts of climate change in human health or how academies provide advice to decision-makers at the national and European level. Panel discussion on the role of academies in the Scientific Advice Mechanism (SAM) with ALLEA President Günter Stock, Yves Caristan (Euro-CASE), Robert Jan-Smits (DG for Research and Innovation) and Sierd Cloetingh (Academia Europaea) (from front to back). Credit: MTA/ Szigeti Tamás. The President of the Royal Netherlands Academy of Arts and Sciences (KNAW) José van Dijck reflected on the challenges to European public values in a global online society. Jointly with other academy and policy representatives, ALLEA President and Chair of SAPEA Günter Stock shared a panel with the European Commission’s Director-General for Research and Innovation Robert-Jan Smits on the lessons learned from their involvement at the Scientific Advice Mechanism (SAM).